What is the best area to stay when traveling to Golf and Sea Village of Apollo Beach? Can I rent Houses in Golf and Sea Village of Apollo Beach? Can I find a vacation rental with pool in Golf and Sea Village of Apollo Beach? 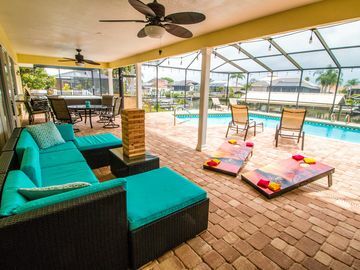 Yes, you can select your preferred vacation rental with pool among our 14 vacation rentals with pool available in Golf and Sea Village of Apollo Beach. Please use our search bar to access the selection of vacation rentals available.